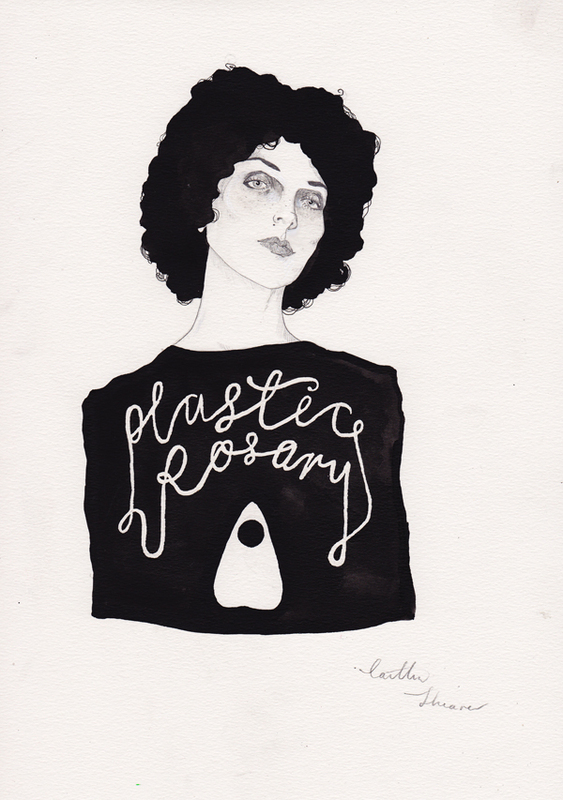 A commissioned portrait for Crissy of Plastic Rosary. Great! I like the way you painted her chest. <3 <3 <3 Ditto Crissy! I really love your artwork! Is amazing and expressive all these strong womens. Can i ask you some doubt that i had for a while? Do you scan these watercolours or do you photograph them? Because i know that scan leaves all kind of washed, but photograph seems pretty difficult too. Thanks! sorry for the bad english. I do scan my artworks and use photoshop to adjust contrast and such afterwards so that nothing is washed out. I love this Caitlin! Minimal and defined. I encourage more portraits of this style! So strong and beautifully feminine. GIRL POWER!